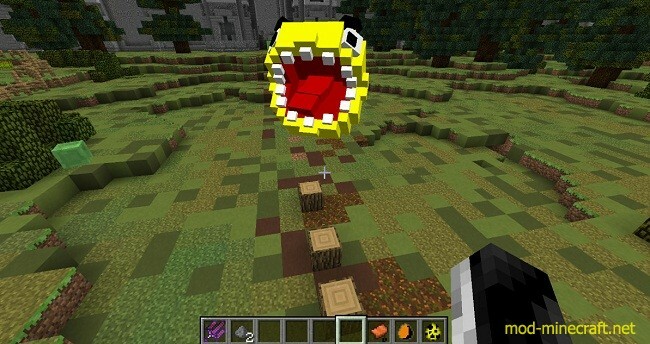 Horror Pacman Mod has a mob called Pacman going around endlessly trying to destroy everything in its path. Pacman has a ton of custom AI and a lot of future planned AI. His main purpose is to be apart of Crazy Craft 3.0. 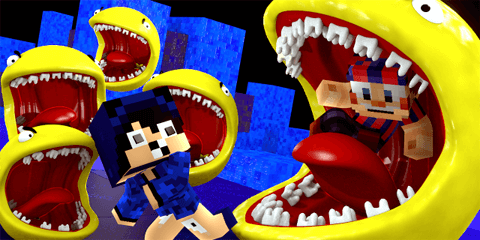 However, we wanted to offer it as a separate mod as it provides some really hilarious moments combined with all mods. 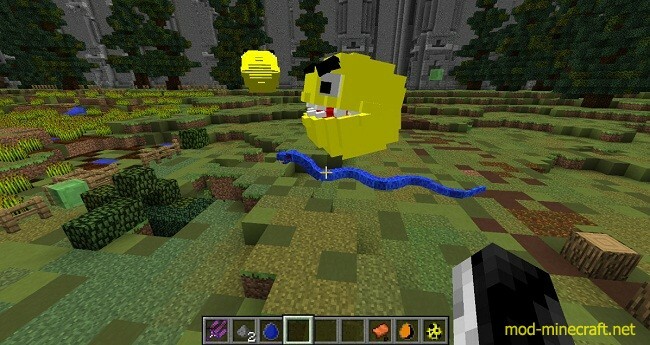 There is only 1 mob currently in the mod and that is Pacman. Horror Pacman Mod has a ton of custom AI, and I will be breaking it all down for you. I will also include future additions. Crunch and Spit: This attack is where Pacman will grab a player and start to eat and crunch him and then spit him out. When he spits you out he could throw you in the air causing some severe fall damage. Toxic Spit (Future Ability): He will gather his saliva and spit it at the player slowing them and poisoning them. Elastic Tongue (Future Ability): Pacman will stretch out his long gross tongue and wrap it around the players body and pull them closer so he can chomp chomp chomp. Hunger System: Pacman is hungry but not all the time! Pacman has a hunger system where he fills himself up and he will sleep once he is full! 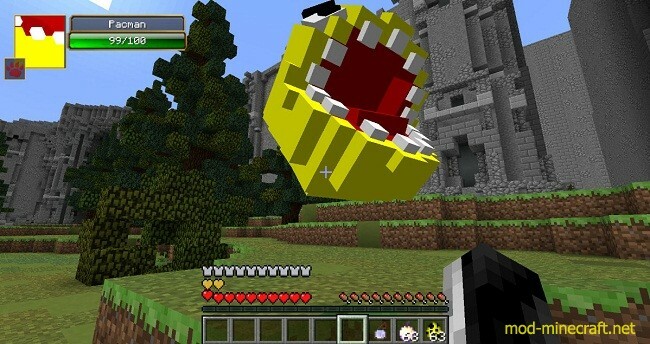 Different blocks, mobs and players all have different values that will fill up pacman. Once pacman is full he will be sleeping and will not be aggressive. Watch out because it won?t be long before he is hungry again! How pacman determines what he will eat in order if all following things are around (Player>Mob>Wood>Leaves). This means if a player is nearby and a mob is as well pacman will revert himself to go after the player instead of the mob! Hybernation System: Pacman will hibernate if no one is around. This means he will shrink into a small little ball. This is a useful thing to pull sneak attacks on people if they don?t see him awake from his hibernation! Mount System: Pacman can?t be tamed but he can be mounted! What that means is you can saddle pacman up and take a ride while he goes chomping away. You cannot control where he goes you can just enjoy the ride!